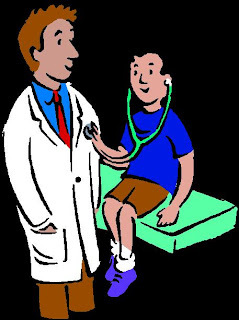 Most of the clinics require patients to have an appointment to see a Doctor. But what if you have minor condition that needs to be treated right away? Can you just go to your Doctor's clinic and wait for your turn to be checked up? Some clinics accept patients without appointment but most clinics don't. I have several experiences being rejected by our own Dr because we do not have appointment with them, which is understandable because that is their policy. When my son was a baby he always have minor condition that needs to be treated right away like, cough and cold that bothers him at night, high fever, etc.. When things like that happen to you child and you do not know what to do, the first thing that would come up to your mind is to call your child's Doctor (which is the clinic), Of course in the middle of the night they are not available and you would just leave a message and wait a return call. Sometimes this practice upsets me. But I could not do anything. Many times I wish it was like in the Philippines where patients can see their Doctor's the moment they want to. Just recently, my son had an ear infection, from swimming a lot! (That proves that he really loves to swim). He was complaining and crying hard because of the pain. Good thing my husband found a Minor Emergency Clinic ( not far from where we live ) few weeks ago while doing his business thing. Without any hesitation, we went there right away and was admitted immediately! This morning I went there again, to have my throat check. I've been experiencing sore throats and dry cough that really bothers me especially at night. I tried different kinds of medicine for my cough but they won't work. Last night was really bad, I could not get to sleep because of my persistent cough, So this morning, I went to see a Doctor at the Minor Emergency Clinic and got checked up right away! That easy! No appointment needed and no hassle! Hi this reminds me of my boy hood days. Today Doctors practice in a different way altogether than they did when I was small. I remember Having a family Physician who was like a family member and was available always. We could go to him or call him whenever there was a need. It was a personal bonding .But nowadays these clinic makes it so professional Its more of office and formalities than of Doctor. I liked my earlier system.